The justification for this presentation was laid out in the DPM article and I was able to confirm the basic sequence of events via conversations with people at DPM and the Access Fund. The latter was consulted, after the video had been taken, about releasing the video owing to the obvious threat that rock alteration can pose to continued access and the possibly even greater threat that the video posed if it came to the attention of land managers. The climbing community is still waiting for a response from the climber in the video and it is worth mentioning from the start that DPM did not offer that climber a chance for comment prior to their releasing the material. DPM has stated that they opted not to initially identify or contact the climber in order to avoid him being singled out as a target. According to my understanding of the situation, the video was taken (without the climber's knowledge) because there was a strong feeling by area climbers that the climber, having been confronted about chipping boulders multiple times in the past, could only be stopped by the recording and release of irrefutable evidence of this activity to the public. The videoographers have so far refused to identify themselves, perhaps out of a fear of retaliation by the subject of their video, or to positively identify the subject of the video, leaving that to the viewing public to do. This identification happened in short order, along with literally hundreds of comments on various internet forums, many of which used physical threats and profanity to express their anger and disgust. Within hours a major climbing brand published a comment on their Facebook page that they were dropping all association with the climber they believed was depicted in the video, though it should be repeated that no positive ID was made in public by the video makers or by the climber himself. And here we are. At least one individual has posted publicly on DPM asking for information about the specific location where the video was filmed. Hundreds have posted threats and insults on various message boards. The climber identified by the public has probably received piles of hate mail and I am sure that the people at DPM are not totally satisfied about how this has gone down. I have been told there is no financial gain for DPM from any potential increase in readership and there has been a lot of headache-inducing stress for the editor and publisher. Indeed, I think it was a risky step to take for them. 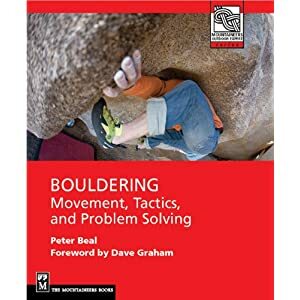 I am also sure that many developers of boulder problems and routes are glad they have not been filmed in the midst of the process. Like the making of sausages, cleaning and prepping a route is not the most aesthetically pleasing sight. For many in the climbing public the case is a slam-dunk, with an open-and-shut verdict of guilty, and they feel that justice has been served. However, I am not so sure about this, even if the behavior apparently shown in the video is inappropriate and harmful not merely to the rock but potentially to the whole community. I want to suggest that this has created many more problems than first suspected, and for a number of reasons. DPM has stated that the video is analogous to a TV station posting security camera video of a crime to catch a perpetrator. I think this is not entirely accurate since the video was recorded by actual people who staked out the scene for hours and who knew very well who the climber was while seeinghim at work. The motivation therefore was not just to catch a criminal but to expose him publicly, since catching him could have involved having law enforcement present (apparently the spot is on public land) to apprehend and charge the climber. This may not have been easy to arrange and the argument could be made that it would create an even worse situation. Even hindsight is not going to be 20/20 in analyzing what happened here. DPM was approached by the video makers with the idea that their website would be a suitable outlet for the video, ensuring credibility, source anonymity and presenting a well-written accompanying story with the video. The simple enough tactic of a relatively anonymous Youtube account being set up for this video seems to have been passed over and this may have been a good thing given the fallout from the DPM presentation. According to Matt Stark, there was extensive discussion at DPM about how to handle this, including whether it was even appropriate in the first place, especially given any possible personal connection with the climber who may have been filmed. The climbing world is a small one. Looking at history, I am not surprised by these conflicted feelings since it really has been a long time, perhaps going back to the days of Ken Wilson and Mountain in the 70s, since the editorial staff of a climbing journal has acted in this fashion, presenting a particular climber's conduct for review by the public, especially without that climber's prior knowledge or opportunity to respond. The involvement of the Access Fund is complicated, as more typically the AF works behind the scenes to minimize exposure of conflict and misbehavior in the hopes of bringing parties together and resolving conflict. Again I cannot think of a single incident where a climber's "outing" as a bolt-chopper or hold chipper or whatever, involved in any way the Access Fund, implicitly or explicitly, whether in order to prevent further damage to a cliff or maintain access. Conversation with the executive director revealed that, as with DPM, this situation was not taken lightly and was discussed only in the context of preventing further damage to the resource. In other words an extreme situation appeared to call for an extreme remedy. It is worth stating that the AF had no part in the actual creation of the video and did not endorse its creation in the first place. According to the executive director, they only acted to advise the video makers about potential fallout from releasing the video and do not encourage or will ever solicit gathering evidence like this. And for the record, I wholeheartedly support the Access Fund mission. As I said questions remain. Is it ever appropriate to use hidden cameras and anonymous internet posting to discipline alleged bad actors? Is there the possibility that apparently incriminating video can be carefully edited or manipulated to create the appearance of wrongdoing where none exists? I submit that it may be much easier than we give credit and that promising careers can be ruined as a result. As Mark Twain famously said, a lie travels round the world before the truth can even get its pants on. I believe the video makers acted with the best intentions but not everybody may be motivated for good reasons in the future. Is it appropriate to insist that climbing media that provides a platform for such material do so only with the guidance of ethics policies that insist on transparency and accountability? Should advocacy organizations like the Access Fund simply steer clear of such tactics, neither accepting nor rejecting such evidence, but leaving it to others to make the call? And should sponsors be careful about accepting such evidence at face value without a considered approach that takes into account the possibility that they may be wrong? A representative for the major climbing brand that disassociated itself from the climber in the video stated in correspondence with me that, though they deplored the acts depicted in the video, the fact is " the whole *****-bashing' will not prevent future manipulation of rock, but make ***** a scapegoat for something which has been going on in the climbing world forever." In this case, does the punishment, which has been very real, actually fit the crime? What should that punishment be? I don't have easy answers to these questions and in no way am I questioning the motives of any of the parties involved in this episode at DPM, the Access Fund, or among any climbers who were clearly deeply concerned about where things were headed in one area. In this case, I am satisfied that everyone acted out of the best intentions. However I am not satisfied that justice has truly been served yet or that such tactics will always be used in the future with good intentions. Judgments rendered in the court of public opinion have not always been proven to be accurate in the end. Perhaps we will hear from the alleged chipper in the video and from the video creators themselves in a public forum. I am more than happy to offer this blog as a space for that dialog, especially since I do not have any personal stake in the outcome, only the desire to see as open a conversation about a sport that I have devoted much of my life to for over 35 years. Well, honestly the video evidence seems pretty compelling. It would need to be verified (how?) of course as the video is not enough proof simply by itself. While there are many folks on both sides of this issue either condemning the alleged chipper or defending him I make the case that he brought this on himself. No chipping, no video, no scandal. I won't condemn him personally but had I witnessed this in person I would have stopped the activity. I do not agree with the public release of this video without giving the person a chance to defend themselves, either in the video or in a statement accompanying it. The justification seems to be that "he's been confronted in the past, he had his chance." I still think he needs to be allowed to defend himself publicly at the same time he is accused publicly. I also do not agree with the makers of the video remaining anonymous throughout this. Why can't they stand by their actions and opinions in the way the accused is going to be forced to? It's pretty obvious that his identity was going to be revealed. I also do not think that this 100% proof that this individual is chipping. It certainly appears that way . . . but I think a lot a cases of acceptable cleaning of boulders and routes could look the same way if filmed for 60 seconds from 50 feet away. We'd better be damn sure of what we're seeing before trying to ruin another person's life. The vitriol and hate spewed without a second thought by many commenters does not sit well with me, and has very real consequences. I agree that the evidence does not look good though as you point out, any competent lawyer would know better than to take something like that at face value. And I think it would be nice to think that we would take a chance and at least ask what was going on. But I think there's more than someone bringing it on themselves. This is a new development in climbing, public internet shaming, and we don't know what's going to happen next. Dan, there is apparently a lot more video but I agree with you as I stated in the post that anonymous posting of evidence is doing nobody any favors. I can assure you that the online hate posts have affected the alleged individual considerably. One thing I would like comment on is the implication you make that the covert actions of the videographers makes publicizing the video wrong simply because it wasn't surveillance footage. I tend to disagree. I think it is irrelevant how any footage of a crime being committed is taken. The bigger question is, should DPM or the videographers turn the footage over to authorities? The issue with the footage not being comparable to surveillance video is that the climber's identity was known by the video makers. In a typical legal situation I imagine something like the DPM video would not be released before a trial as it would prejudice a potential jury pool. It would also have to be released to the defense ahead of time or a mistrial might be called. Furthermore if it were part of an investigation, it would tip off the suspect that someone was onto him. Surveillance video might be released to find the identity of a subject but that is not the issue here. Regarding turning it over to "the authorities" there a few problems with this. First of all, they already have it via the DPM site. Second of all, it's not 100% clear that the shown video implicates the currently named climber. The rest of it might clearly show who it is. But there is also the issue of so what? That offense might be a misdemeanor on public land and IF found guilty, require a fine of 50 bucks or something like community service. Just as likely is a land manager proposing that the area be off limits to climbing or other off-trail uses, which affects all climbers. So from a criminal standpoint, the video captures an act of minimal significance in comparison to bribery, theft, etc. No one's going to do hard time for what's shown in the video. That's why the online mobbing that's going on is so troubling. Nice roundup, Peter. There is clearly a fair bit of schadenfreude at play here, as well as the unquenchable human thirst for a good controversy. Still I have to admit I've read a good many words on this topic already. Like a car wreck on the side of the road, there is that dual sense of revulsion and attraction. Thanks Justin. The real debate, as I have learned over the past few days, is happening behind the scenes. The oafs posting threats and insults are missing the point. The afterlife of this will be interesting I think but not necessarily publicized. Thanks for posting the only thoughful and nuanced discussion I have seen on the subject. I have similar concerns,a nd to me it all comes down to respect. What was doen may be wrong to the community, I'm not sure myself, but in any case there is no respect for the man and what he has done for the sport in that area.